Barn-Style Shed Plans | Storage Shed with Gambrel Roof Plan # 047S-0005 at www.TheProjectPlanShop.com. Depth 8 ft. 0 in. First Floor 6 ft. 1 in. A gambrel roof adds a touch of country flavor to this backyard storage shed plan. Double doors in front and a side entry door lend easy access from the yard or driveway. 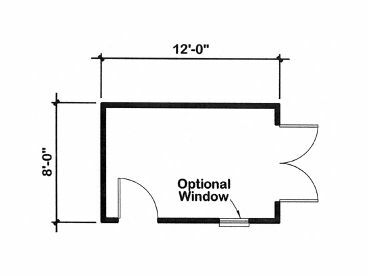 This storage shed offers a 6’ ceiling, optional window, and 4x4 wood frame floor system. It is available in five different sizes to accommodate a broad range of needs. 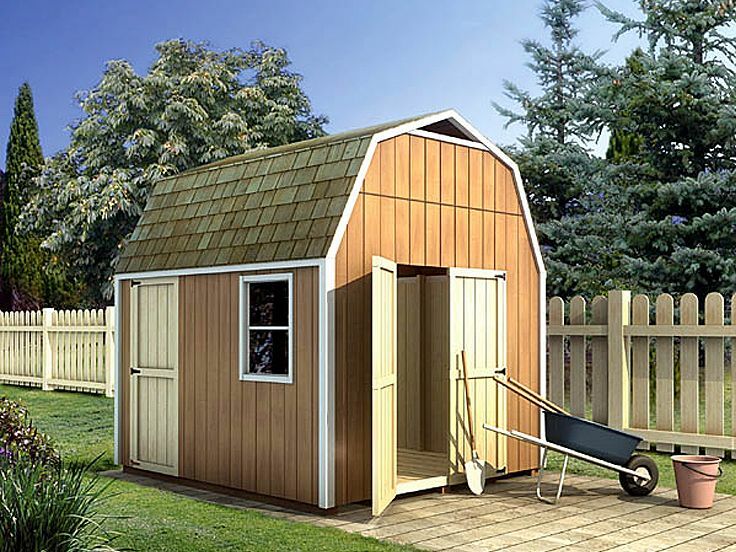 Add storage and function to your backyard with this gambrel shed design. 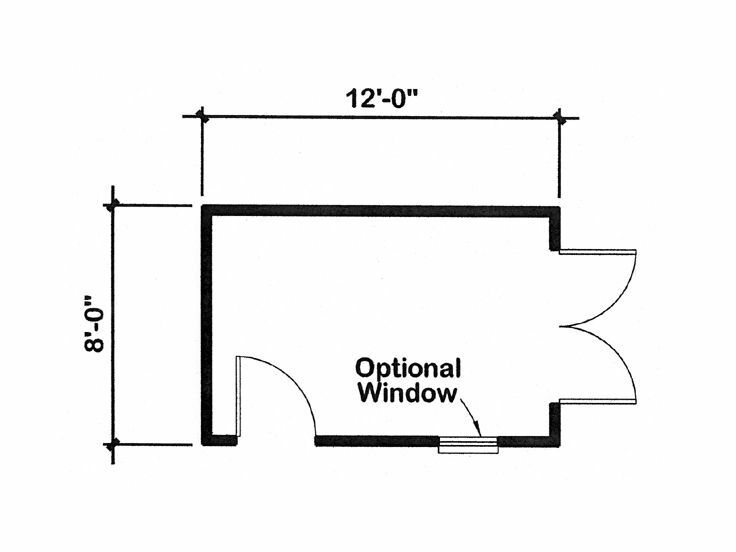 Plans include wall framing plans, trussed roof plans and cutting templates. Foundation is 4x4 wood frame.